Are people buying games consoles rather than PCs? PS3 - taking sales from the PC sector? Leading analysts Gartner are suggesting that not only are tablets cannibalising PC sales, but that games consoles are also hitting the industry's pockets. Tablets such as the iPad are being blamed for Christmas laptop and desktop sales that were below many experts expectations. However, Gartner's principal analyst Mikako Kitagawa has suggested that other connected devices such as consoles are also leading to less people buying PCs. "Overall, holiday PC sales were weak in many key regions due to the intensifying competition in consumer spending," he said. "Media tablets, such as the iPad, as well as other consumer electronic (CE) devices, such as game consoles, all competed against PCs." The mention of consoles is interesting given that the likes of the Xbox, PS3 and Wii are offering increasingly computer like features. 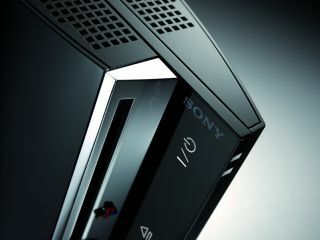 The PS3 and the Wii offer full browsers within the console and, although the user interfaces remain clunky, as computing gets more cloud focused the principle of a media friendly device that sits under the TV and can do many of the entertainment functions of the PC are attractive.